The entrepreneur ship can be a lonely place. Leaving port, the captain is often alone, and if he doesn’t pick up a couple of mates on the way, and perhaps an engineer, he could struggle to make headwind. 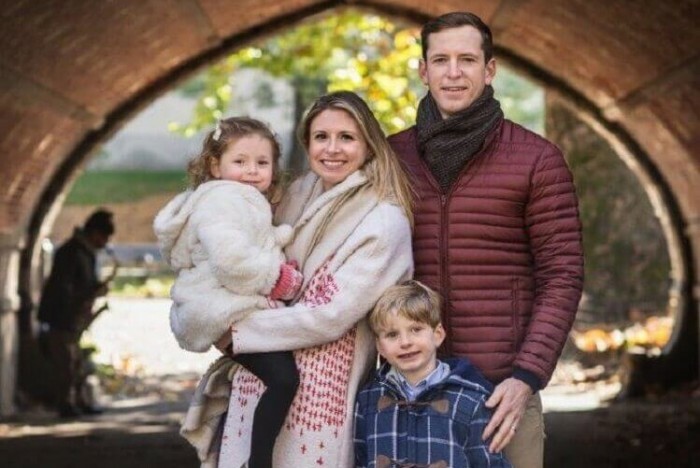 When Ryan Lupton embarked on Cornell University’s Johnson Cornell Tech MBA, he had little idea of what life as an entrepreneur was like. Although he’s always been an independent thinker, it took the entrepreneurial environment at Cornell to open Ryan’s eyes. Ryan credits David Tisch, an experienced venture capitalist and head of Cornell Tech’s Startup Studio—part of Cornell Tech’s curriculum for all of its graduate degree programs—for teaching him the key lessons he’d need to launch his own venture. Bringing in people from outside the university helps students gain a real-life perspective of how to make a success of a startup, Ryan asserts. It’s the knowledge that allowed him to develop his own business, Full Plate NYC. This, he says, was the crux of his MBA application, and the key reason he wanted to pivot to the Johnson Cornell Tech MBA after 10 years as a management consultant for Deloitte. “I wanted to shift from solving large, organizational business challenges to what a lot of startup culture over the last 10 years has been—how do we use tech to create new value for lower-income customers,” he explains. Full Plate NYC is a meal delivery service which aims to combine the convenience of a fast food joint or corner store with healthy nutritional meals to provide for society’s most underserved. The idea, says Ryan, was to create a digital platform to share the burden of last mile distribution with the customer. Come online, order a meal, and then pick it up at a specific time and place. Investment has been an issue, he admits. VCs are loath to invest due to the economic magnitude of overcoming the identified problem. Ryan is convinced pursuing the idea is the correct decision though, and continues to work part-time on the venture out of the office space he has access to as a Cornell Tech student. “This is a lot bigger than me being passionate about it,” he explains. “I need a lot more people and support to do this; I can’t drive it by myself. Ryan (pictured) is East Coast born and bred. He’s lived in Atlanta and Durham, and his wife got her MBA at Duke’s Fuqua School of Business. Embarking on the Johnson Cornell Tech MBA was a no-brainer. Though Ryan admits he’s never had experience out on the West Coast and in Silicon Valley, he says that no other school could offer what Cornell Tech has. “No other MBA program is designed the way Cornell Tech is to give you the opportunity to collaborate across programs in your classes and projects,” he explains. Ryan took classes with data science and design students—his cofounder, Chris Stuart, is an MFA student in Design and Technology at Parsons School of Design in New York City. “New York is a global powerhouse,” asserts Ryan, “there’s no topic you could want to embark on that you can’t find experts in the city. He adds that almost everyone he has encountered at events across the city know about Cornell Tech and its mission. Ryan says that his plans long term are to lead an organization, most likely his own. He’s willing to be patient, though, he explains—he’s currently a father of two with a third child on the way.